Sohaib Maqsood is one of the key batsmen in Pakistan team. He is categorized as the fifth Pakistani batsman to score fifties in his first two ODI innings. He has been selected in the Pakistan's squad for the World Cup 2015. Former cricketers are comparing him with legendary batsman inzamam. Sohaib Maqsood is a rising star of Pakistan cricket as big things are expected from him. He is the fifth Pakistan batsman to score half century in his first two ODI innings. He made his international debut in 2013, whereas he made his first-class debut back in 2004. He used to be an off spinner during that time when he used to bat at No. 11 and bowled 16 wickets less overs on debut. He made a fine comeback to first-class cricket in the year 2007-08 and showed his skills as a middle-order batsman, scoring 537 runs at average of 53.70 runs. His cricketing statistics in that season were even more impressive with 944 runs at an average of 78 runs and a strike rate of 105. He booked his place in Pakistan's Twenty20 squad for the matches in Zimbabwe, and subsequently for the ODIs against South Africa in the UAE. Sohaib Maqsood’s strength lies in his off-side stroke play with a back-foot. His ODI debut score was 56 runs off 54 balls against the deadly South African bowling attack of Dale Steyn, Morne Morkel and Lonwabo Tsotsobe, and followed that up with 53 when no other Pakistan batsman scored more than 30. Sohaib Maqsood has truly depicted the talent and calmness that the Pakistani middle order requires. In the recent domestic tournament Sohaib Maqsood playing as a member of Baluchistan Warriors scored brilliant match winning hundred in the semi final match. He has spell bound the spectators by striking performance and has booked his place in the upcoming World Cup 2015. 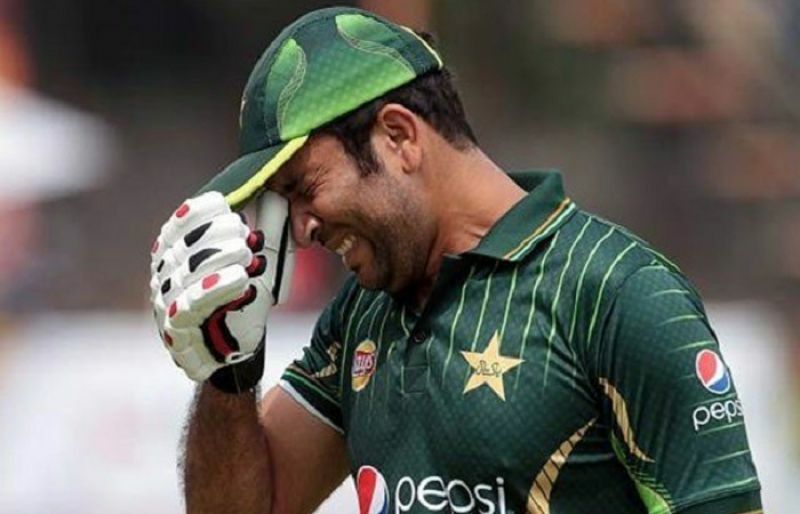 Sohaib Maqsood can be the triumph card for Pakistan in the World Cup as the skipper Misbah Ul Haq entrusting him with the significant role as the number 4 batsmen in the team. Find updated profile of Sohaib Maqsood and statistics of batting, bowling and fielding along with his videos and images at Hamariweb.com. 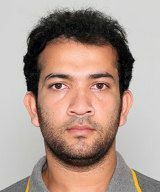 Find Sohaib Maqsood profile and stats of batting, bowling and fielding including latest updated news of Sohaib Maqsood, videos and images at Hamariweb.com. Also find detail Player profile and career statistics of Sohaib Maqsood of Pakistan. Find Sohaib Maqsood profile and stats of batting, bowling and fielding including latest updated news of Sohaib Maqsood, videos and images at Hamariweb.com. Also find detail Player profile and career statistics of Sohaib Maqsood of Pakistan. As per details garnered, the cricketer had been shifted to Allied Hospital where he was receiving treatment. shoaib maqsood is a an very telentant batsman he will be the best batsman for pakistan in this world cup. to take Sohaib Maqsood in world cup 2015 squad is good decision by pcb this time the team they developed is gonna rock the stadium for sure. i saw his batting live just few days back they way he plays for his side like a true legend batsman. and he is the most talented batsman after umr akmal. Sohaib Maqsod is a great hitter but not able to rotate the strike that is a big defect in the cricket of his but i hope he should improve himself in a future. He was a good player i am his fan but now a days he is disappear and people are forgetting him. he is yet to fire in this tournament ..its the rite time that he have to play well in this matches and give his part in the winning .. he is a very good hitter of the bowl. for me he is just and average player not as talented as umar akmal and asad shafiq are..but if he is scoring runs so he must be in playing elaven..
Sohaib Maqsood - Find Sohaib Maqsood of Pakistan Cricket Team complete player profile, number of matches, runs score, wickets & catches, Statistics, Records, Sohaib Maqsood Latest News, Sohaib Maqsood Videos, Sohaib Maqsood Photos, and other Sohaib Maqsood Cricket Team players.